In Tanaka’s first year in the bigs he posted a 13-5 record with an ERA of 2.77 before going down with elbow problems. Last season was a mixed bag of results for Tanaka as he put up a 12-7 record with a 3.51 ERA. Still respectable, but not in line with the season he had prior. This season Tanaka has emerged as a true ace for the Yankees. He has proven to be a reliable starter that the Yankees can count on every fifth day. He is 13-4 this season with a 3.04ERA. Tanaka’s legitimacy has been questioned all season, and throughout his career. He silencing his critics as he has powered the Yankees pitching staff down the stretch this season. The Yankees win Tanaka’s starts almost 80% of the time which comes in second just behind the Dodgers Clayton Kershaw. 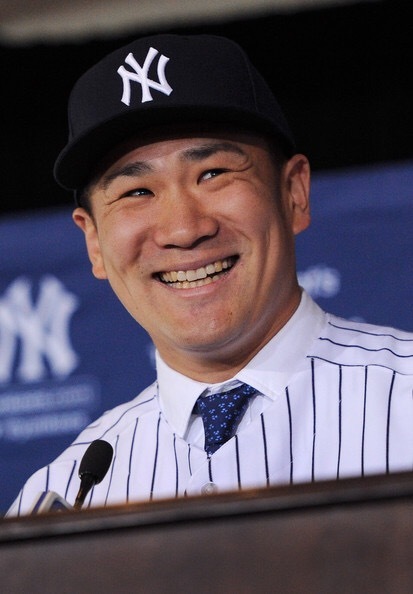 Experts and fans around the league say that the Yankees wish that they didn’t have Tanaka’s payroll on the books, but I would challenge that by saying he is worth every penny the Yankees are paying for him. Critics are quick to point out Tanaka and his contract even as he puts together a Cy Young like season, but they turn their heads at contracts such as: David Price, and Justin Verlander among many others. Good pitching is hard to find, and to be able to find someone who can out up solid numbers in the AL East that is worth a lot. Since the All-Star break Tanaka has posted an impressive 7-2 with a 2.71ERA. Tanaka has truly emerged as an ace for the New York Yankees, and regardless of the leagues perception on him he is one of the best pitchers in baseball. He has also done all of this while still being at the young age of 27. He also has shown no ill effects from his elbow scare. Right now there is a very select few of elite pitchers in the league that have been as consistent as Tanaka. When he is on the mound you almost count the win before you even have it, and there would be no one the Yankees would rather turn to in a crucial game one than Tanaka. Expect to continue seeing more brilliance from this young man and the New York Yankees. He has been battled tested and proven in the best division in baseball.